With 520Hp and 450lbs of torque, creating peak Hp is at 6,700 rpm's and peak torque is at 4,700. 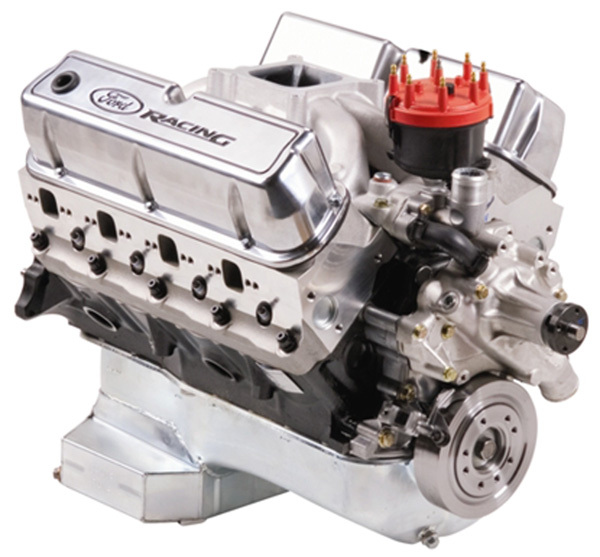 This is a great all-around power package for hotrods and streetrods or even a trip down the drag strip; torque is high maintaining a nice power band finishing up at 7,000 rpms. The idle quality is great at 900 to 1,000 rpms creating about 10-12 inches of manifold vacuum to run power brakes. In this engine we installed a special mechanical roller camshaft designed to move air with .650 net lift and the use of Jessel shaft rockers. The compression ratio is 10.5 -1 requiring the use of 93 octane fuels. In this engine combo we used a single plane intake and a 750cfm mechanical secondary carburetor. All RCS engines have exclusive CNC ported cylinder heads CNC by RCS to allow the required cfms needed to create the power listed, keeping port volume to minimum for hard acceleration and throttle response.